This award is for features published in a title that is only available regionally. Features will also be accepted if the publication is published nationally but the majority of the content, including the travel section, varies regionally. Features submitted must have been published in print or online between 18 May 2018 to 18 May 2019. 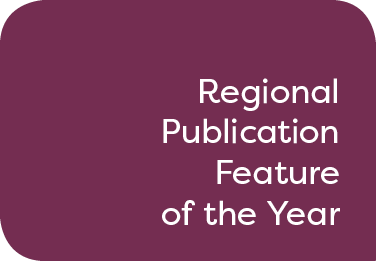 Nominees must submit by email a PDF of the nominated print feature showing the name of the publication and the date or month published. Online feature nominees must submit by email a dated copy of the nominated feature showing the online publication name or the URL to access the feature. Please state the region, city or area where your publication is distributed on your email. Judges will be looking for consumer travel features that are engaging, informative and make compelling reading.